ANU’s decades of metal forming tooling experience has helped customers optimizing their manufacturing operations. 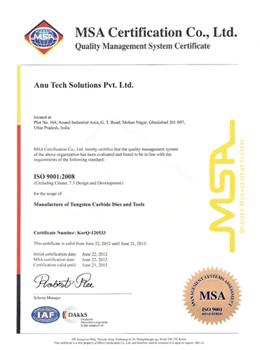 ANU’s dedicated team work for meeting ever-demanding expectations of domestic and international customers through total commitment to quality, service and product excellence. 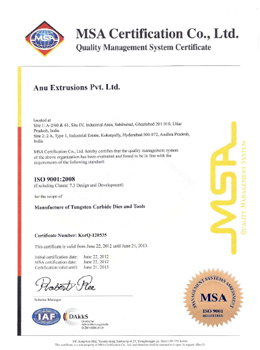 All the ANU units are ISO 9001:2000 certified and adhere to the quality standards. Fastener Industry tools, Drawing Industry tools, Auto Components tools, Tooling For Fastener Industry, Tooling For Drawing Industry, Tooling For Auto Components.